If you find our tools and the information on this site useful we hope you’ll consider setting MessageOps as your Partner. By designating MessageOps as your Office 365 Partner, we receive financial support from Microsoft that enables us to continue developing the content and tools that are on our site. Designating MessageOps as your Partner does not cost you anything, does not give us access to your data, and has no impact on the support you already receive from Microsoft. The more organizations partner with MessageOps, the more we’ll be able to develop. The more we develop, the easier it will be for you to migrate to and manage Office 365. The bottom line? At no extra cost to you, you can help fund our efforts to develop valuable content and tools. What’s not to the like about that? Naming MessageOps as your Office 365 Partner is easy. It only takes moments and you only have to do it once. IMPORTANT NOTE: If you are not paying for the Office 365 subscription we unfortunately cannot offer our software at no charge. Since you receive the service from Microsoft at no cost, Microsoft does not provide compensation to MessageOps. This applies to partner accounts and many of the education plans. Select Buy now from the expanded menu on the bottom of each listed service. To add a new partner, expand Need help with your order? and choose Get assistance from a Microsoft Partner. Follow the steps on the Pinpoint page to either search for, or to get matched with a partner. If you already have a partner, in the second step of the Check out wizard, in the right pane, under Partner information, select add. Type the Microsoft Partner ID for the partner you’re adding. 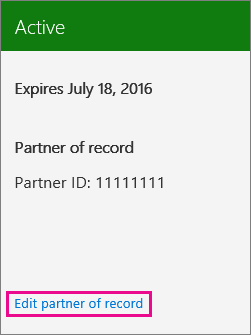 You can get the partner’s Microsoft Partner ID by asking the partner for it. Complete the rest of the wizard to finish buying your subscriptions. Under billing, select View and edit subscriptions. If you have more than one subscription, select the subscription you want to edit in the left pane. Under the subscription name and cost, select More actions > Add partner of record. Type the Microsoft Partner ID for the partner you’re adding, select Check ID, and then Submit. You can get the partner’s Microsoft Partner ID by asking the partner for it. The partner ID displays on the Subscriptions page. If you have multiple subscriptions, select the name of the subscription you want to edit. Under the Partner ID, select Edit partner of record. Type the new Microsoft Partner ID for the partner you’re adding, select Check ID, and then Submit. You can get the partner’s Microsoft Partner ID by asking the partner for it. The partner ID displays on the Subscription details page. On the Partner information page, clear the partner ID box, and then select Submit. 1. Log into https://portal.microsoftonline.com, and in the left column, click Licensing. 2. Click your subscription and in the Subscription Details page that appears click add under partner information. 3. In the Microsoft Partner ID field input 987951 and click Check ID. Champion Solutions Group should be displayed (MessageOps is the Microsoft Cloud Business Unit of Champion Solutions Group). 5. 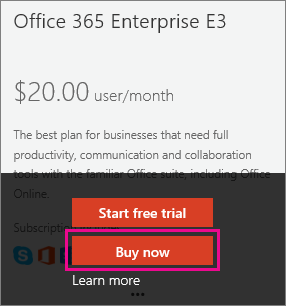 Repeat steps 2 – 4 for each Office 365 Subscription you have. 1. Log into https://portal.microsoftonline.com , and in the left column click Manage. 2. 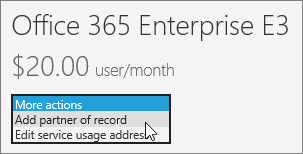 Click on your Office 365 Subscription in the center pane. 3. In the Partner Information area on the right side of the page, click Add. 4. In the Microsoft Partner ID field input 987951 and click Check ID. Champion Solutions Group should be displayed. (MessageOps is the Microsoft Cloud Business Unit of Champion Solutions Group). You’ve done it! MessageOps is now your Office 365 Partner. Enterprise Agreement Customers may not be able to set MessageOps as the partner on their account using the steps listed above, instead there is a short form that must be filled out. Contact us and we’ll send you a copy of the form if you are unable to set MessageOps as your partner using the methods above.